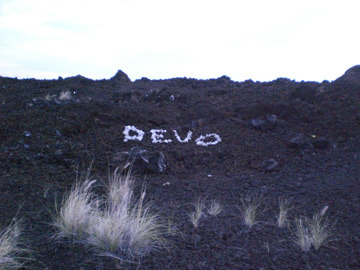 Corral rock tribute constructed by DEVOtee Mark Jason Murray while in Hawaii. It is common for people to take corral rocks and place them on the lava rocks on the side of the road. People driving by could see this from the road.